Preheat your oven to 350 degrees. Pour your oil into a large baking dish or 9×13″ pan, mixing the oils together. Set aside. Next, you want to set up three shallow bowls on your counter for a dipping-assembly-line. Set up your chunks of chicken at the beginning of the line. 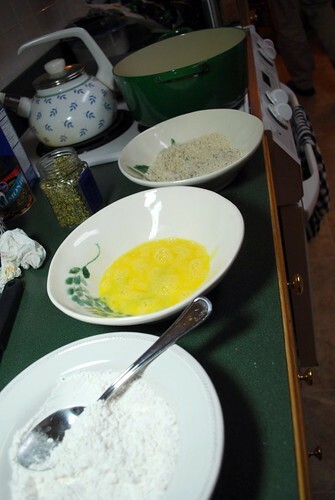 In the first bowl, mix together the flour, salt, and pepper. In the second bowl, lightly beat your egg. 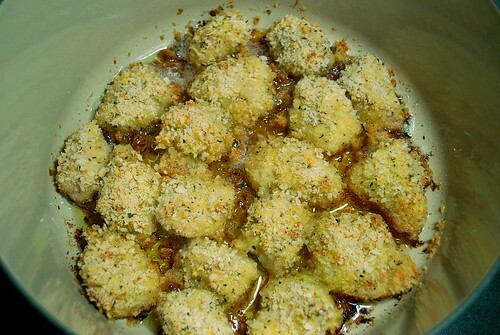 In the third bowl, mix together your panko bread crumbs, the herbes de provence, and the second teaspoon of salt. 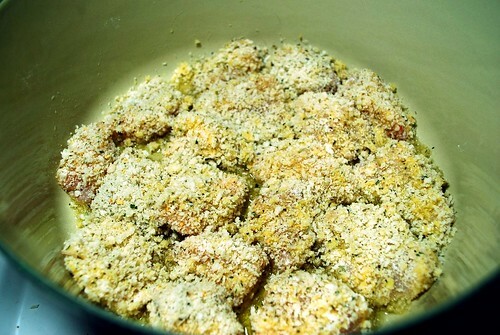 Next, just take each chunk of chicken, coat it in the flour mixture, then coat it in the egg, and then roll it around in the panko mixture and put it in your prepared baking dish! You should have just 1 layer of chicken on the bottom of your dish. 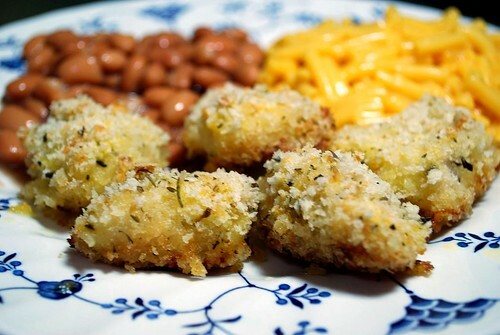 If you have any panko mixture leftover, I would just pour it over the top for some extra crispiness. Bake, covered, for 25 minutes. Then remove the cover and bake for another 10-15 minutes (depending on the size of your nuggets). If you want, you can turn them over half way through, but I was too lazy – they still turned out nice and crispy on both sides!